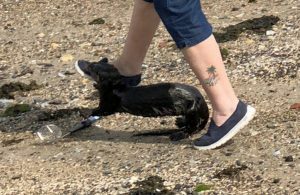 It is the first documented case of a rabid otter known in Maine. Westley Marshall attacked the otter with a shovel. Marshall eventually chased it back into the water.